On March 4, SpaceX performed its 14th overall parachute test supporting Crew Dragon development. During this test, a C-130 aircraft transported the parachute test vehicle, designed to achieve the maximum speeds that Crew Dragon could experience on reentry, over the Mojave Desert in Southern California and dropped the spacecraft from an altitude of 25,000 feet. In February, the first in a series of reliability tests of the Boeing flight drogue and main parachute system was conducted by releasing a long, dart-shaped test vehicle from a C-17 aircraft over Yuma, Arizona. Both tests resulted in successful touchdowns of the parachute systems. 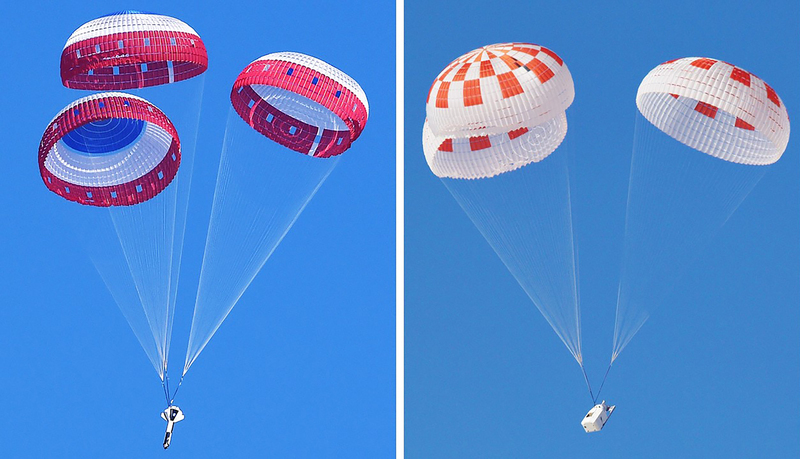 SpaceX will conduct its next parachute system test in the coming weeks in the California desert, and Boeing is scheduled for its third of five planned qualification tests of its parachute system in May. Both providers’ parachute system qualification testing is scheduled to be completed by fall 2018. The partners are targeting the return of human spaceflight from Florida’s Space Coast this year, and are currently scheduled to begin flight tests late this summer. 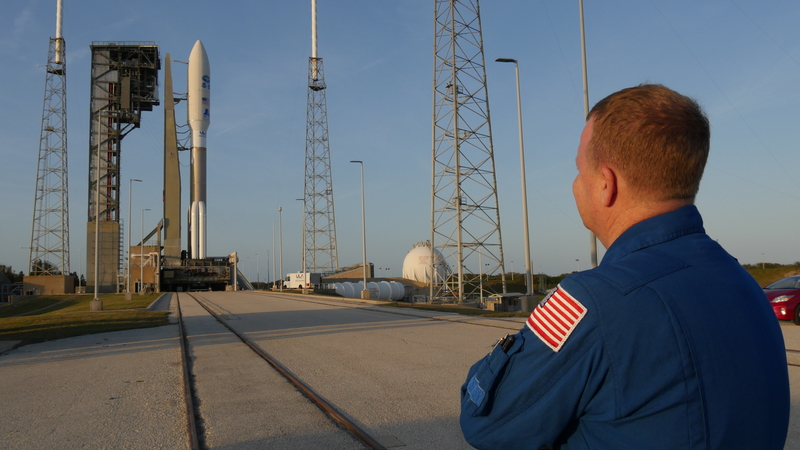 NASA astronaut Eric Boe, one of four astronauts working with the agency’s Commercial Crew Program, had the opportunity to check out the Crew Access Tower at Space Launch Complex 41 (SLC-41) Wednesday with a United Launch Alliance Atlas V on the pad. Boe, along with launch operations engineers from NASA, Boeing, and ULA, climbed the launch pad tower to evaluate lighting and spotlights after dark. The survey helped ensure crew members will have acceptable visibility as they prepare to launch aboard Boeing’s Starliner spacecraft on the Crew Flight Test to the International Space Station targeted for later this year. The Atlas V at the pad is scheduled to carry NOAA’s GOES-S satellite to orbit later today for NASA’s Launch Services Program. For more information on today’s launch, visit https://blogs.nasa.gov/goes.